Higginbotham's plan initially included mobility fees as a funding source. Luckily, Commissioners Beckner and Murman stopped that funding shell game by removing mobility fees from the plan before it was approved September 8. The funding was disclosed at the eleventh hour last FY2017 budget public hearing held on September 15th. Again, poor Governance, there was no time to react when the budget had to be approved that evening for the new fiscal year beginning October 1. Almost half (over 40%) of the FY2017 $35 million transportation funding is re-appropriated DEBT from the FY2016 budget. Where did this reprioritized debt come from? Always skeptical of such nebulous development projects, we attempted to get information about them from County Center. No one at County Center nor any county commissioner could provide any details about these projects. Because there were none. This earmarked debt was for "ghost" redevelopment projects that did not exist so the county never borrowed any of the $16.8 million in FY2016. We don't know why county commissioners approve debt for projects they know nothing about or that do not exist. However, the already approved earmarks can be used as a holding place to fund something else. At the September 15 budget public hearing the county disclosed they how they complied with the new transportation funding policy. The county re-appropriated $14.1 million of the $16.8 million of DEBT financing earmarked in FY2016 for those redevelopment "ghost" projects to transportation. Since only $10.6 million of new revenues for FY2017 is going to transportation, more new debt is funding transportation than new revenues. We were told Higginbotham's plan was an enhancement to Murman's proposal? Hmmm….Reprioritizing debt is considered an enhancement? Again the choreography done behind the green curtain was perfectly orchestrated. If the policy is adopted effective for the FY 17 budget, first year policy compliance could be maintained by requiring that $12 million of the currently appropriated Redevelopment Program be designated for transportation uses in Redevelopment Pilot Project Areas. 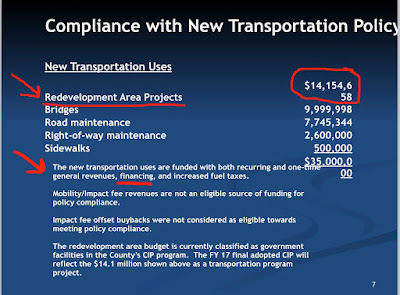 Actually $14.1 million, not $12 million was re-appropriated from the redevelopment ghost projects to transportation. But who would've known or fully understood Higginbotham's plan thrown out at the eleventh hour? The public was notified of the proposal via the agenda sent out by the county on a Friday afternoon before the long Labor Day weekend. We all know about data dumps on Friday afternoons, especially before holiday weekends - most folks are focusing on the holiday weekend. 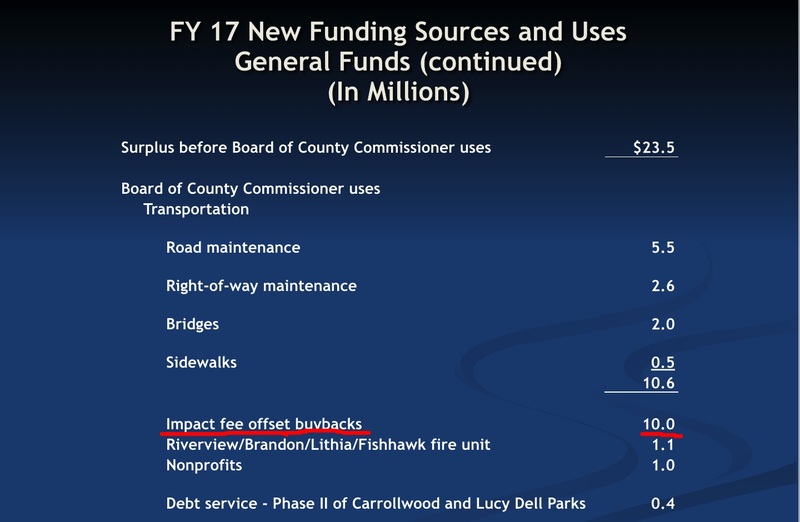 While the commissioners removed the $30 million of impact fee buybacks from the transportation budget, that money is still appropriated in a non-departmental bucket. Lo and Behold $10 million of the $30 million impact fee buybacks scheme - that benefits developers - is funded with new revenues. Only $10.6 million of new revenues in FY2017 is going to our #1 issue with the biggest funding gap - transportation - that benefits us all. Can't make this stuff up….. When our roads and transportation needs have been neglected for years, spending $30 million in FY2017 for impact fee buybacks is outrageous and irresponsible. The county will fund an impact fee buyback scheme with new revenue growth at the same time the county is funding our #1 issue transportation with new debt. 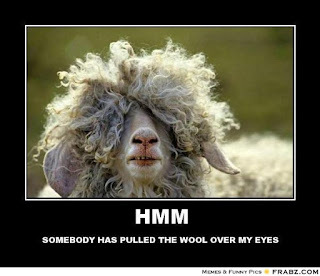 How more backwards and upside down can things get with our county budget? The commissioners should demand a monthly update on the status of the impact fee buyback program. 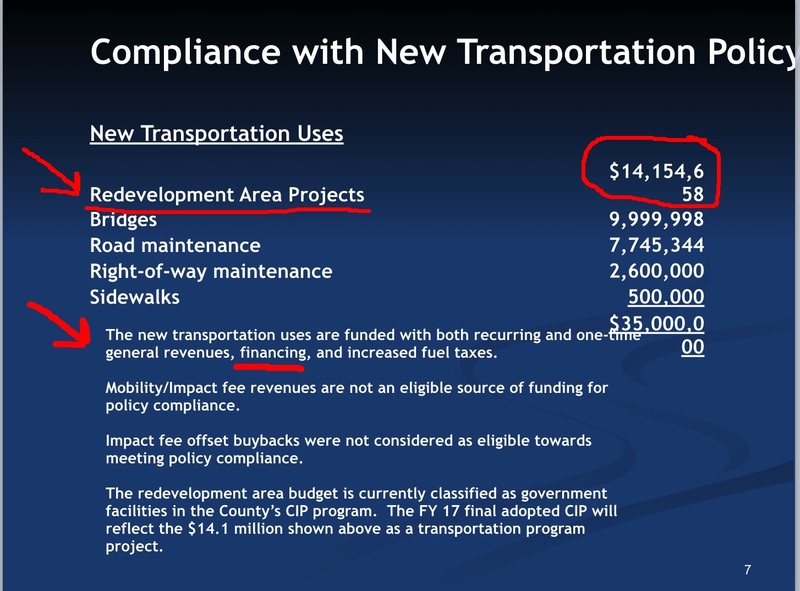 If it's not successful within 6 months, start re-appropriating those funds to transportation projects. There has to be some enforced accountability instead of lack thereof. The irony of all this is amazing. The commissioners agreed in June to appoint a citizens committee to review and vet Murman's transportation funding proposal. It was apparent they wanted another "set of eyes" looking at the plan. But the committee was never established and the effort vanished into thin air. Instead, Murman's proposal was only reviewed by County staff who have an entrenched bias to maintain status quo and maintain their control over the entire budget. At the August 10th transportation workshop, Staff presented faulty revenue numbers low-balling the 10 year revenue stream estimates and half truths ridiculously predicting doom and gloom about Murman's plan. It was all very theatrical. Subsequently, we get thrown the curve ball of Higginbotham's plan at the eleventh hour when no one had sufficient time to fully review or vet it. So much for the county commissioners really wanting another "set of eyes" but the county bureaucracy looking at any transportation funding plan. To recap, the direction the commissioners gave County staff was to pursue using new growth revenues within our existing growing budget to fund our roads and transportation need. The chart below was presented as part of the FY2017 budget planning. What we got is a budget shell game. What we have is a convoluted budget mess with no limits to where growth revenues in our ballooning budget can be spent - bigger bureaucracy, new baseball stadium, pork projects, special interest handouts, more parks, etc. We are being led right back to the bloated budget era we were in prior to the recession. The trust issue with County Center continues to looms large and over two-thirds of those polled in 2015 said the county must do a better job of spending money it already has. We have been requesting for years that the county reprioritize our ballooning budget to start appropriately funding our roads and transportation. 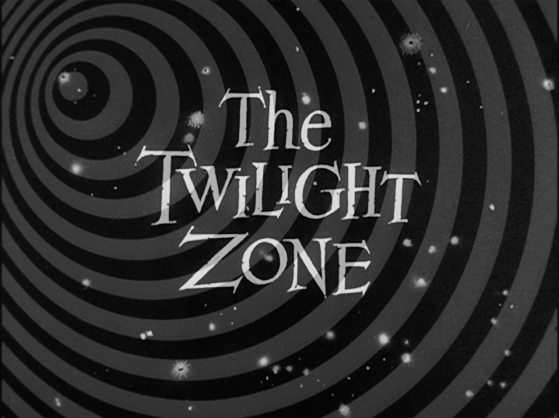 But has County Center turned into the Twilight Zone? Only in the Twilight Zone of County Center would requests for reprioritizing our budget equate to reprioritizing debt that was previously appropriated for "ghost" projects. Only in the Twilight Zone of County Center would anyone think taxpayers should do a happy dance when the county uses more debt than growth revenues to fund transportation in FY2017. 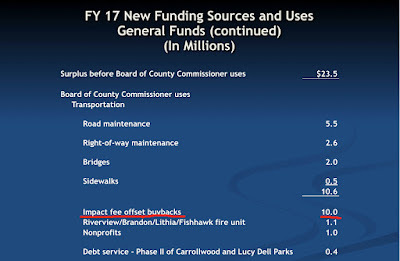 Only in the Twilight Zone of County Center is spending $30 million of taxpayer money in FY2017 on some untested impact fee buyback scheme a higher priority than funding our roads and transportation needs that have been neglected for years. 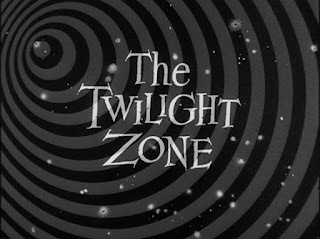 Is it time for those operating in a different dimension in the Twilight Zone at County Center to encounter a reality check? Before the meeting, Fesler told me this new fund could not be used to pay ANY impact fee buybacks!